Ireland will not oppose any UK application for a Brexit extension – but London must have a plan to use the extra time, the Tánaiste has told the Dáil. But Labour Leader, Brendan Howlin, said he believed the Irish border backstop will have to be called into use. Mr Howlin said did not believe a long-term EU-UK trade deal can be completed within the allowed time of two more years to replace the backstop. Replying to questions about Monday night’s EU-UK updated deal, Tánaiste Simon Coveney said there are no legal changes to the text of the withdrawal agreement. 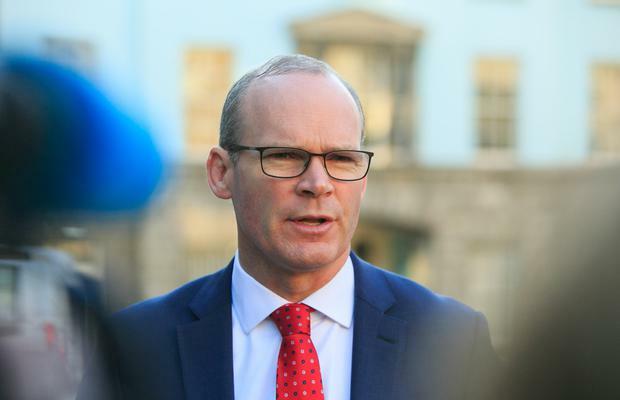 But Mr Coveney said the overall package agreed on Monday night between British prime minister Theresa May and the EU is different from the arrangements in place. “What is different is the language,” he said. “What is different is the reassurance and the process around that reassurance,” the Foreign Affairs Minister added. He said it was possible to replace the border backstop in full or in part - as long as the replacement arrangements continued “to deliver the same effect which is the avoidance of a hard border”. Mr Coveney stressed that there was now a legal agreement enforcing political guarantees already granted. “There is good faith on both sides to prevent a backstop in the first place but if it is triggered - that it would be temporary,” he said.